Sinus inflammation is a condition that many patients are all too familiar with. 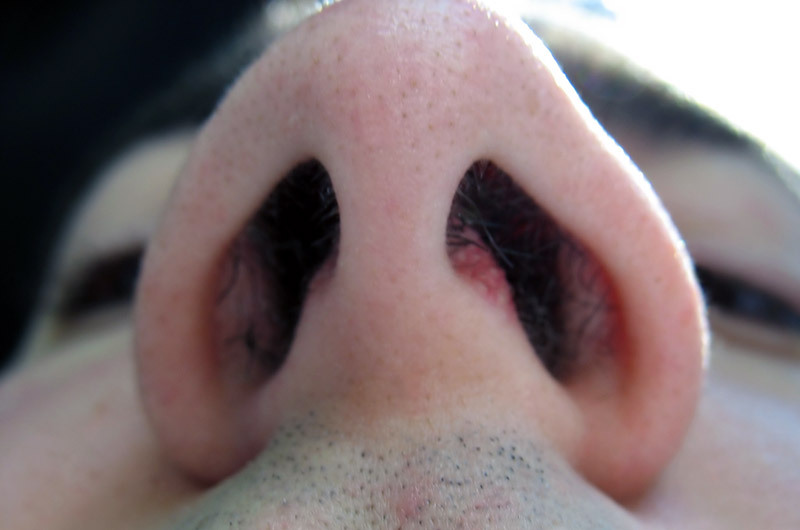 Your nose feels like it is perpetually stuffed and you can’t breathe. A common condition, inflammation of the sinuses is often the result of having a cold, allergies, or from having chronic sinus issues. Luckily, nasal irrigation can be your first line of defense against allergy and sinus problems. Often, nasal irrigation is used to remove thick mucus from the sinuses and to moisten nasal passages. Since many patients suffer from noninvasive fungal sinusitis, which is when organisms reside in nasal mucus, using nasal irrigation devices such as neti pots can offer a huge sigh of relief. Nasal irrigation is a simple way to flush out excess mucus and debris from your sinuses and nose, including pollutants, infectious particles, and allergens. If you are in need of relief and are looking for a way to clean and flush out your sinuses, check out our list of helpful nasal irrigation tips. • Using the right type of water is key. For your nasal rinse mix, the FDA recommends that you use sterile or distilled water. If this is not possible, boil tap water for 3 to 5 minutes and then let cool to a lukewarm temperature. • Do not rinse with your nasal device before an activity or right before bed. It is normal for water to drip from the nose after rinsing, but this could prove troublesome if you are not prepared or have something important to do. • Use real salt, such as sea salt for your nasal rinse solution. Stay away from conventional table salt, which can contain many undesirable ingredients such as anti-caking ingredients and silicon dioxide. So when it comes to your nose, stick with the real thing. • You should ALWAYS clean your nasal rinse device after each use. We cannot stress enough the importance of this. Washing out your device with sterile, filtered or distilled water is best. Just make sure you let your device air dry between uses. • Just like your toothbrush, your nasal irritation devices should be replaced every few months. Even if you are fastidious in your cleaning, just like your toothbrush, it doesn’t stay clean forever despite your best efforts. • If you have a significant medical condition, or your symptoms continue to decline, consult with your doctor.